We just witnessed a thrilling round of MotoGP in Thailand’s Buriram, but just before that, we had another exciting event. 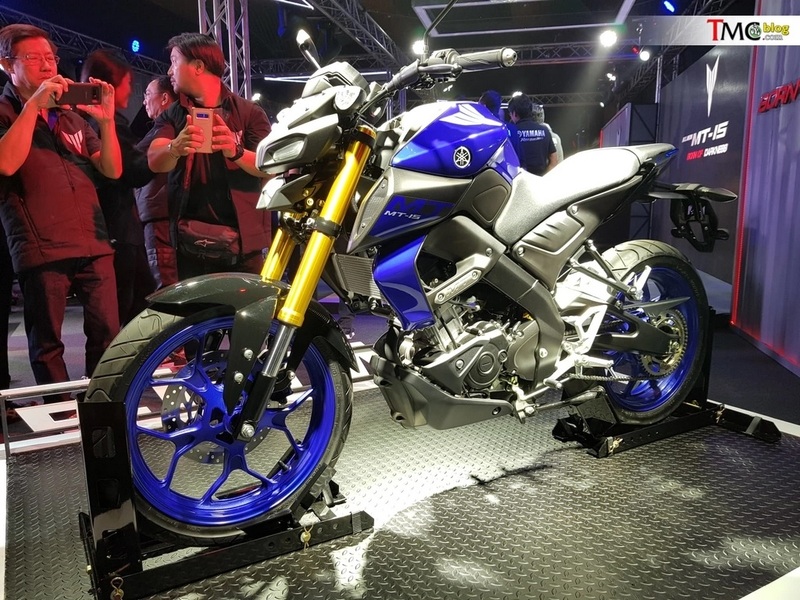 The 2019 Yamaha MT-15 was revealed in Thailand and it looks menacing. The design philosophy is the same ‘Make’em look like the big-bads of the family’. 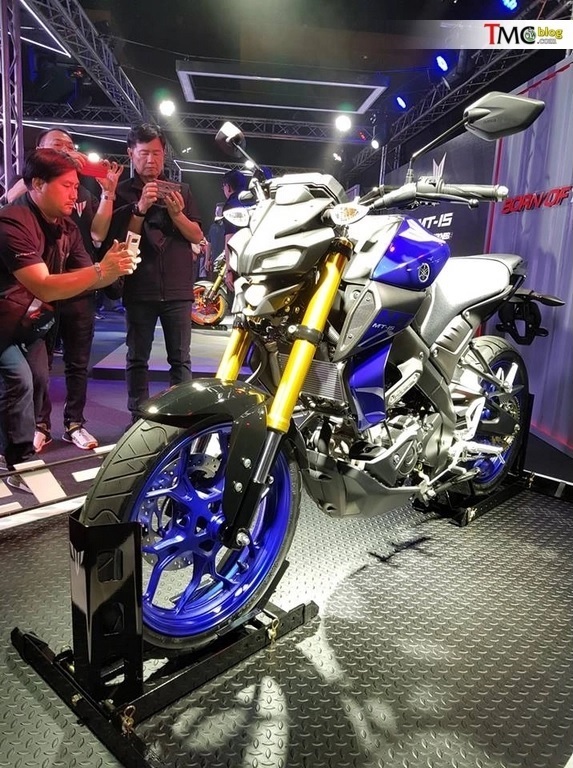 Just like the R15 V3 which is inspired by the R6 and R1, the MT-15 is inspired by the mighty MT-09. 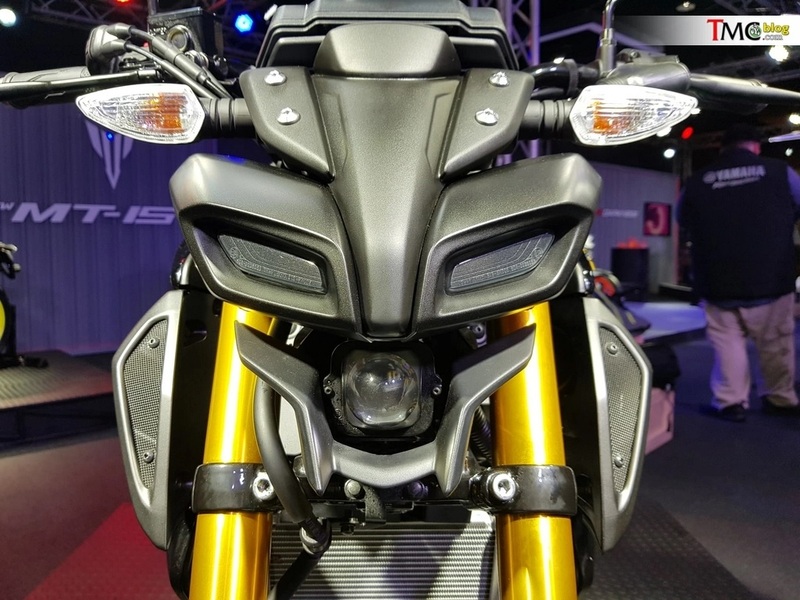 The familiarities strike early as the bug-eyed headlamp comes directly from the MT-09. 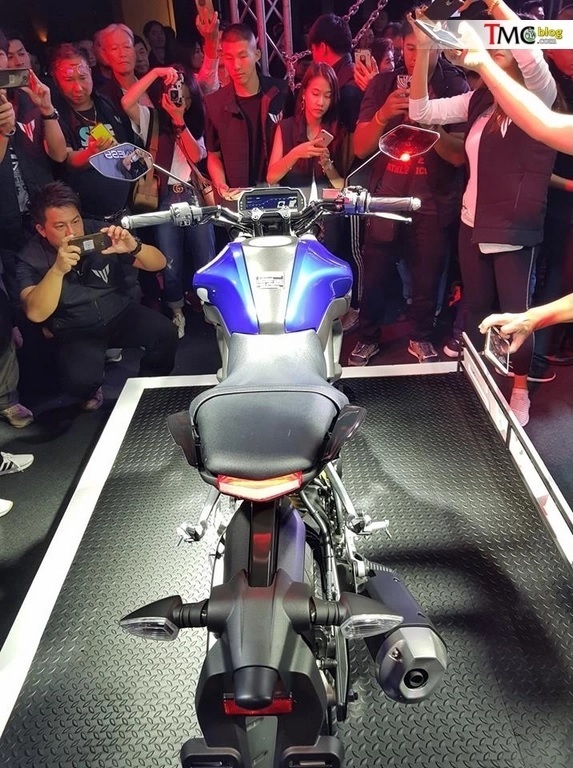 The muscular tank, the aggressive stance, and the lowered tail complete with a single piece seat make the MT-15 look like a spitting image of the bigger nakeds from Yamaha. Now we also called it a naked R15 V3 and with good reason. 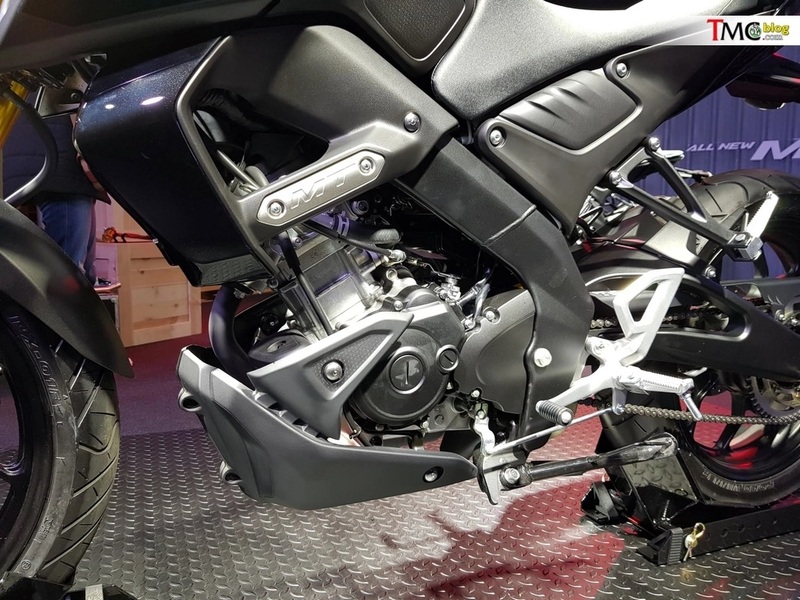 A lot of elements in the Yamaha MT-15 come from the R15 V3. 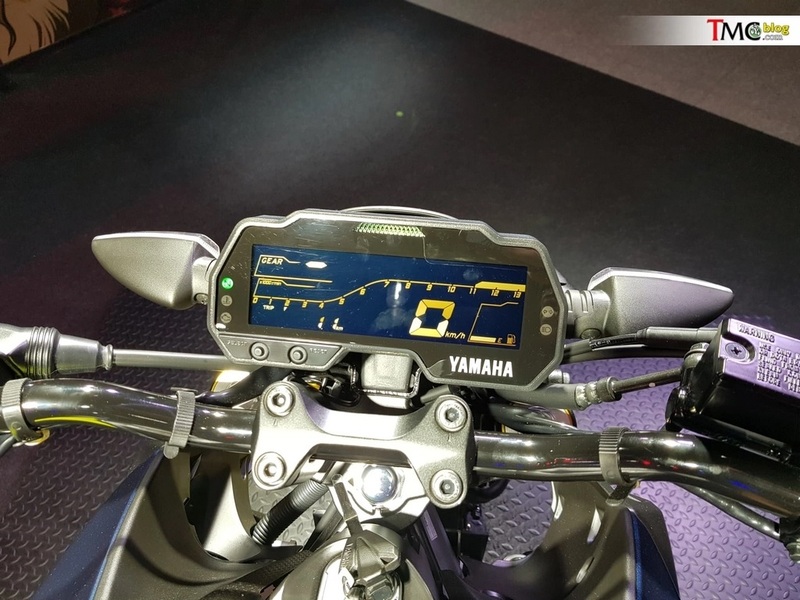 The aluminum swingarm, and the digital instrument cluster are borrowed from the R15 V3. This applies to the mechanicals as well. 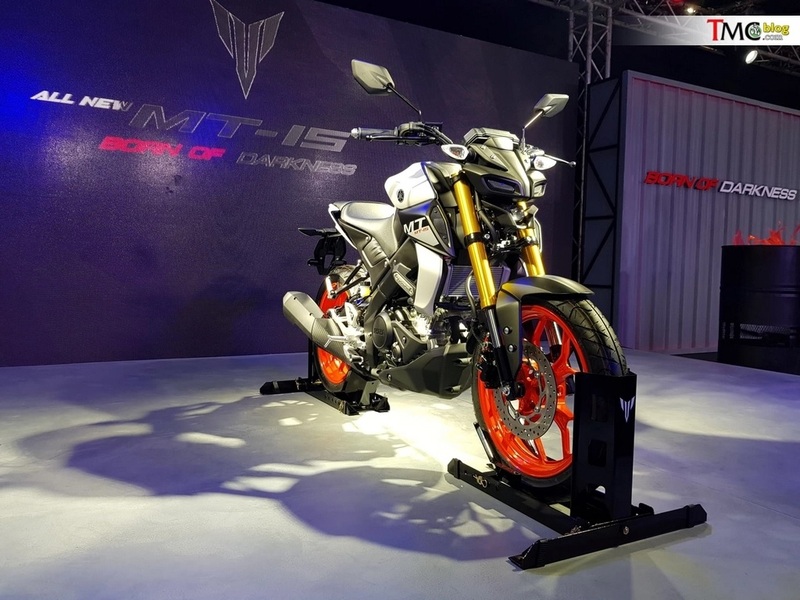 The MT-15 is powered by the 155cc, single-cylinder, liquid-cooled engine with VVA and slipper clutch, just like the R15 V3. The engine is fuel injected and predictably makes around 19 bhp of power and 14.8 Nm of torque. 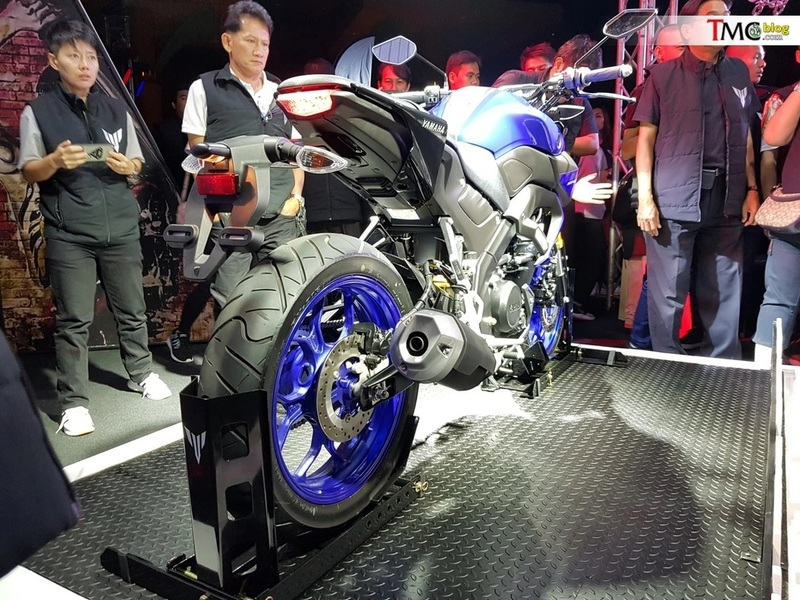 But can expect a few tuning changes to make the MT-15 more street friendly. The slick 6-speed gearbox is how the power is transmitted to the rear wheel via a chain drive. 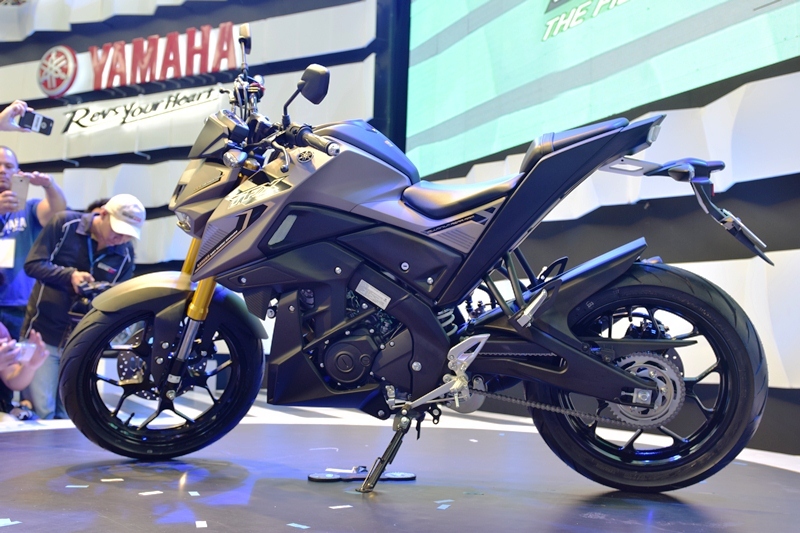 Expect the final drive and gear ratios to differ as well to give the MT-15 more punch at the bottom. 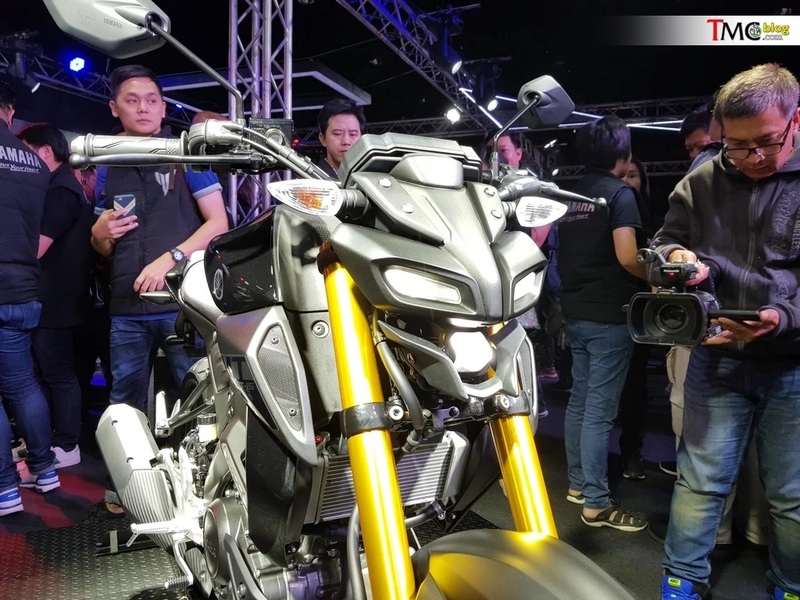 With VVA and slight changes in tuning and final drive, we think that the MT-15 is going to be a peppy motorcycle which will prove to be a hoot to ride around town. 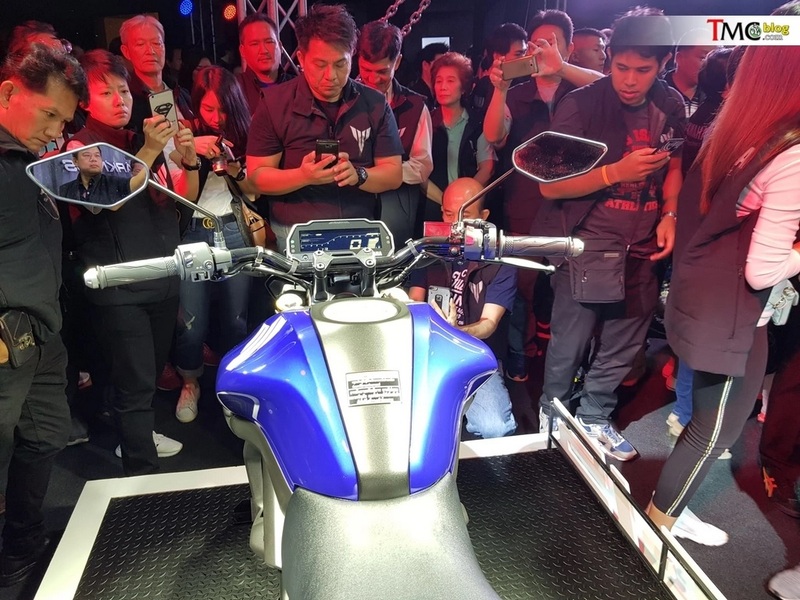 Apart from that, we see USD forks, adjustable mono-shocks, single disc with radially mounted caliper up front and a regular floating caliper gripping the disc at the back. The obvious lack of ABS rings means that the bike misses out on the safety aid. The tyre size also matches up to the R15 V3 with 110 section on the front and 140 section at the back. The fuel-tank is just 10 litres which might seem a bit low but with an expected fuel-efficiency of around 35+, a decent range of around 350 kms can be expected. 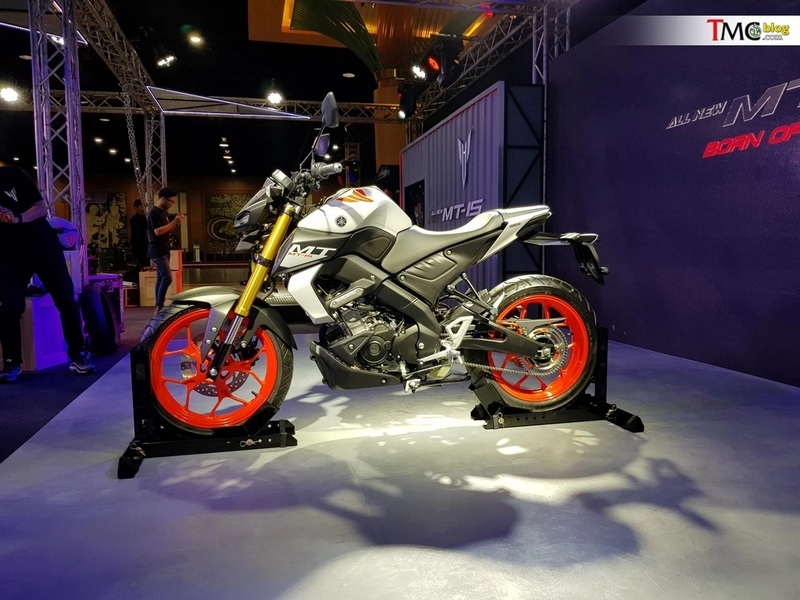 India might very well miss out on this awesome little motorcycle but even if it makes it to India, we can expect it to lack the USD forks and radially mounted calipers. Last edited by NewsReaper; 10-09-2018 at 04:24 PM. looks like the tank shape is the same, with updates done on the side panels. Engine for this bike is the same as the R15v2. Headlight (and gauge) is updated on the MT version, too. you're right about the price, though.. the USD forks and other digital goodies makes this bike almost in the same segment as the Duke 200. Hope they will launch it in India by 2019! Not happening. 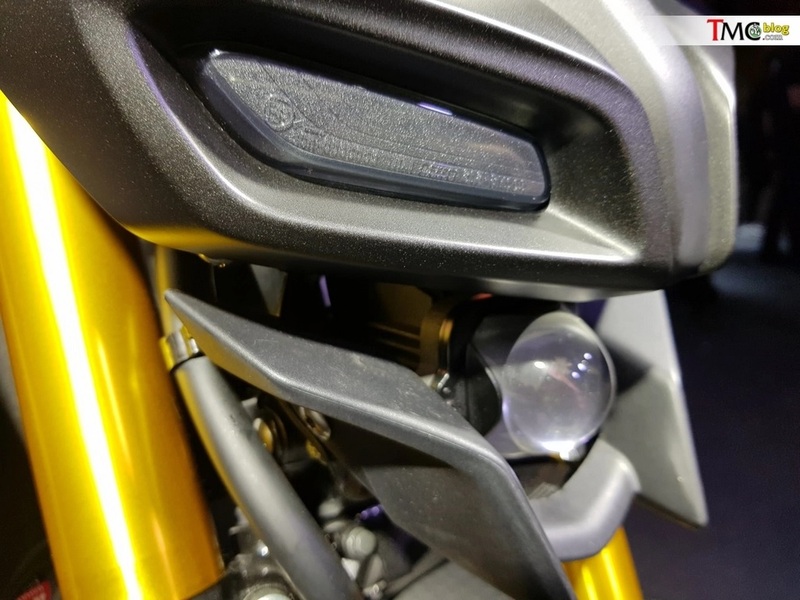 Their was news that Yamaha would be launching MT03 and M-Slaz in 2017 (or was it 2016, I am not sure), instead they launched MT09. Does it has the same VVA engine? What a waste, they could have done this with 250 cc mill instead. Lol yeah sure, and make the FZ25 pointless? It'll never be launched in india. Japanese companies are more interested in bringing faired motorcycle than nakeds in india. Last edited by aamaadmi; 10-12-2018 at 01:33 PM.